There are times when site owners need certain functions and features in their websites that a standard content management system (CMS) simply can’t offer. Star 3 Media provides custom programming and web development solutions for a variety of specific applications. Whether you’re looking at creating a brand new site for your business or would simply want to add a couple of new features to your existing site, our dedicated team of experienced and highly creative web developers and programmers are here to help you out. Our team has successfully developed a variety of online features including online communities with profile creations, accounting software integration, online forums, booking systems, iPhone applications, shopping carts, auction systems, member logins, site search features, and much more. If you have any questions about our web development capabilities, or would need to speak with one of our staff regarding an add-on or feature that you’d want developed for your site, then please feel free to give us a call or drop by our offices at Star 3 Media. Setting up a website for your business isn’t just about putting your brand online for people to see. You’d want your site to actually take in orders and payments for your products and services; to act as an online store. That’s where e-commerce comes into play, and you’d want to have this functionality embedded into your site early on so you could do business online much more easily. Online shopping and electronic payment are factors that have contributed much to e-commerce’s success. Businesses are able to set up a digital storefront, like an online version of their retail store, and allow clients and visitors to easily get what they need with a simple click of a button straight to a digital shopping cart. Paired with electronic payments, people can pay straight from their credit cards or through services such as PayPal. 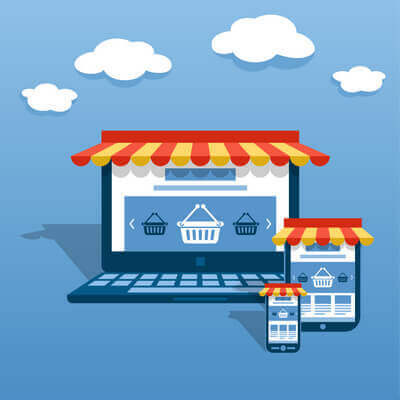 Star 3 Media can incorporate an effective and easy-to-use e-commerce system into your website using a shopping cart system. You’ll be able to manage your inventory better, provide an online gallery for your products, and receive payment straight through your bank or PayPal account. We offer a variety of e-commerce plans that’ll suit all kinds of businesses from startups that have a smaller inventory of items to large establishments with tons of products up for display. Learn more about e-commerce and how we could help set up your business online by contacting our staff at Star 3 Media today! To discuss a specific functionality you require please contact us.